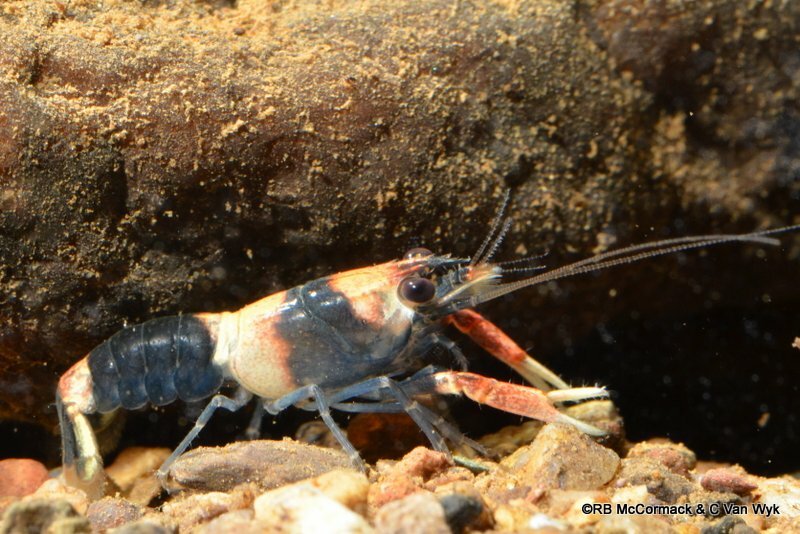 This is a picture of a juvenile Conondale Spiny Crayfish (Eustacus hystricosus). It’s about 25 mm long and snapped by Chris Van Wyk in January 2013. These newly released giant spiny crayfish have the white bands typical of the spiny group and this is a great photo showing those bands. As the crayfish grows the bands will fade, so they only have them for the first 4 months or so.